Yes, I know it is TUESDAY (again), but this update is worth waiting for. 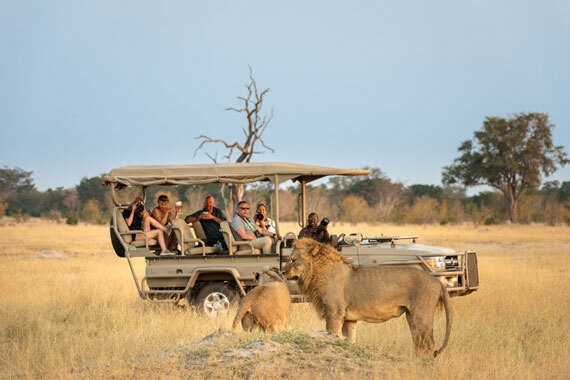 We are delighted to welcome MACHABA SAFARIS in BOTSWANA and ZIMBABWE as the latest addition to Classic Portfolio. It has been many years since we last had camps in these areas and the addition of the Machaba Safaris circuit with 7 unique camps in 4 wilderness locations makes the perfect Classic Portfolio partner. Inspired by Murray Collins, co-owner of BLUE SAFARIS SEYCHELLES, who is also a partner of Machaba Safaris, it was a natural extension for us to unite the vast marine wilderness of the outer Seychelles islands with the iconic safaris experiences in the Okavango Delta and Hwange National Park. Together with his partners Alistair Rankin, Chris Hatshe and Blessing Munyenyiwa, they are committed to creating affordable safari experiences in prime wilderness areas that honour an elegant style while being family friendly. Kids under 5 stay free while 6-11 year olds pay 50%. 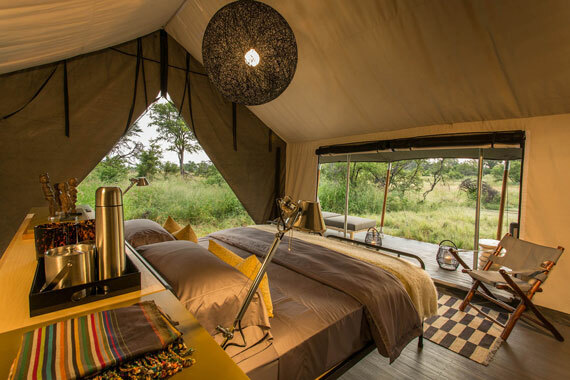 MACHABA CAMP: 8 x Luxury Tents | 2 x Family Units. Kids all ages. Rates from US$ 590 to US$ 1 055 per adult sharing. LITTLE MACHABA: 2 x Luxury Tents | 2 x Family Units. Kids 12+ (unless exclusive). Rates from US$ 655 to US$ 1 195 per adult sharing. GOMOTI PLAINS: 8 x Luxury Tents | 2 x Family Units. Kids all ages. Rates from US$ 655 to US$ 1 195 per adult sharing. SPECIAL OFFER: Combine 3 nights at each Machaba Camp & Gomoti Plains and pay Machaba Camp rates throughout. GOMOTI PRIVATE: 1 x Luxury Tent | 1 x Family Unit. Kids all ages. 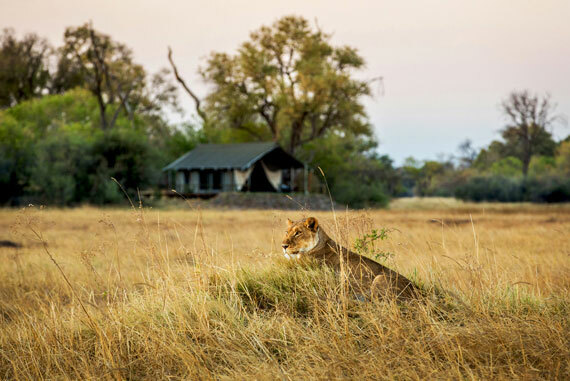 Exclusive Camp Rates (up to 6 guests) from US$ 5 600 to US$ 10 000 camp rate per night for first 4 guests and Gomoti Plains rates per guest thereafter. VERNEY'S CAMP: 8 x Luxury Tents | 2 x Family Units. Kids all ages. Rates from US$ 450 to US$ 790 per adult sharing. SPECIAL OFFER: Stay 3, Pay 2 valid until 10th January 2020. DETEEMA SPRINGS: OPENING 1 MAY 2019 - 7 x Luxury Tents | 1 x Family Unit. DEKA CAMP: OPENING 1 JUNE 2019 - 6 x Luxury Tents. BOTH: Kids 6 & older, unless exclusive. Rates from US$ 520 to US$ 695 per adult sharing. In the UK market, Alison Whitfield and the ETHOS MARKETING team continue to manage the sales, while Hella Göbel, SABELA AFRICA, is responsible for the German speaking markets. Classic Portfolio will manage international sales from our offices in USA (Kimi Christopulos), Southern Africa (Michelle Koen) and Latin America (Simon Huxter & Lara Movsovich). We all look forward to working with our key trade partners in driving new business across the Machaba Safaris camps. The name Machaba is the local Setswana name for the sycamore fig tree, the tree of life, renowned for their abundant fruit, which feeds a vast array of animals throughout the year, including elephant, baboons, bushbuck, green pigeons and many more. We have 25 privately owned hotels, lodges and camps in Africa - Classic members and partners - sharing on our stand. Michelle Koen is attending ILTM Africa on behalf of our whole Portfolio. We have 14 members attending We Are Africa. Machaba Safaris are adjacent to our Classic Portfolio area. This is by far the best snapshot of all you need to know across our hotels, lodges, jungle discoveries and island escapes. Please save the environment and do not print. WHAT WE LOVE: The Republic of the Congo and Central African Republic, both former French colonies, are 2 of the 6 countries across which the Congo Basin expands. Second in size to the mighty Amazon, the forests of the Congo Basin contain the greatest number of mammals, primates, birds, amphibians, fish and swallowtail butterflies in Africa. More than a 1,000 species of bird can be found here. The basin is a total of 3.7 million km2 and is home to some of the largest undisturbed stands of tropical rainforest on the planet, in addition to large wetlands. Connecting two of the most iconic locations - Odzala-Kokoua and Dzanga-Sangha National Parks - within this rainforest wilderness offers the most exciting opportunity to discover a part of Africa in a truly pioneering way, while making a significant contribution to the long-term conservation and community sustainability of this region. This is no longer the 'Heart of Darkness'. This is Africa unmasked, beautiful and powerful. This is the most exciting destination to be opening to tourism. This is CONGO CONSERVATION COMPANY waiting for you to discover the most remarkable and unspoilt natural wonders of the continent. Walking distance from Chindeni only, and the longest direct walk (± 4 hours). Drive time from Mfuwe Lodge: ± 2½ hours. 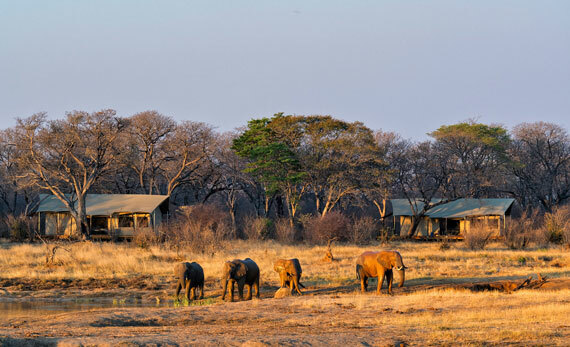 Chamilandu Bushcamp is located on the edge of the Luangwa River beneath a soaring ebony grove. The beautiful open-fronted, thatched chalets are set on 2m high wooden stilts and offer a bird’s eye view over the river. Each one has an en-suite bathroom with a double vanity, toilet and twin showers with cold and solar-heated water. There are 2 twin chalets (queen size beds) and 1 double chalet (king size bed).